After taking a close look at the differences and benefits of both the squat and the leg press it’s time to put another staple in any serious CrossFit, Fitness or Bodybuilding enthusiasts training arsenal to the test: the deadlift. 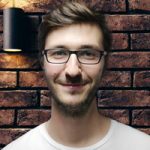 This week I’m going to put the traditional deadlift up against the sumo deadlift in order to see if one or the other is the superior form of the bent knee deadlift. That’s the specific focus this week, but at a later date, I reserve the right to look at straight leg deadlifts such as the Romanian deadlift and put those against bent knee deadlifts. I’m limiting this article to just two bent knee variations in order to keep this an article and not a book. 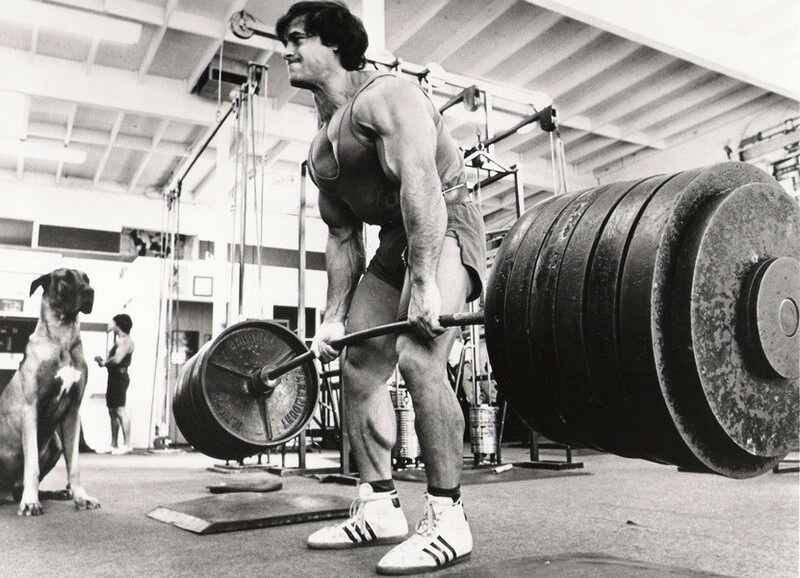 The deadlift is about as natural a movement as the squat. If you have a heavy rock to move in order to decorate your cave chances are you are going to use one of two options – squat down and lift the rock and carry it to the desired location or bend over at the waist and deadlift the rock until you are standing upright and walk the rock to the final resting place of this primitive furniture’s new home. In our case, we will be replacing the rock with a bar, and we will be deadlifting it, but what method of deadlifting will we use? The deadlift emphasizes hip extension making it a favorite exercise to develop the hamstrings and the glutes that serves to build lower body strength as well as core strength and stability. The deadlift will virtually build muscle everywhere as muscles are used starting at the fingers to grip the heavy bar and ends at the feet that meet the floor and that includes everything in between, including the muscles of the neck and traps. Looked at this way one could easily argue that the deadlift is the king of all mass builders and not the squat, but that is a topic we will be visiting soon in this Vs series that I’m hoping you all are enjoying. Getting back to the two different styles of deadlifts that we’re looking at today, both emphasize the glute muscles. 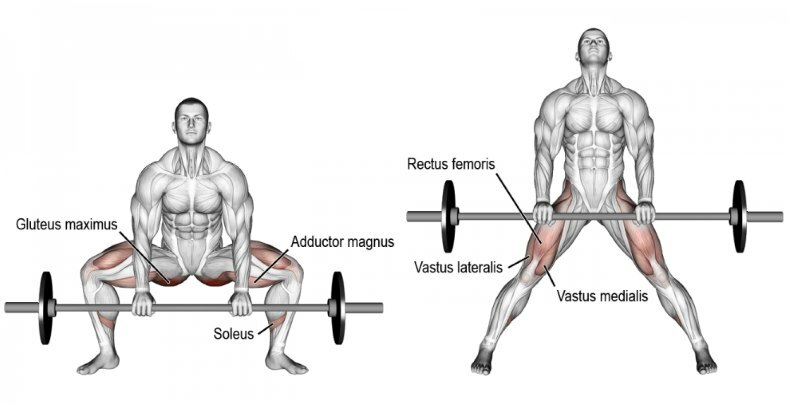 In the case of the traditional deadlift the lifter’s feet are considerably closer together, as close as the hip width in most cases, and this puts considerable strain on the low back due to the excessive bending over that must take place in order to grip the bar. The advantage that this close foot placement offers is that the lifter is able to generate more power and this will allow for a greater amount of weight to be lifted from the floor. This correlates with the fact that the traditional deadlift dominates the record books much more so than the sumo deadlift and both are allowed in competition. Another difference in the two styles is that in the start position the lifter’s knees are considerably more extended in the traditional deadlift and this will allow for the hips to be much higher and will eliminate wasted energy by shooting your hips up before you begin pulling the weight off of the floor. 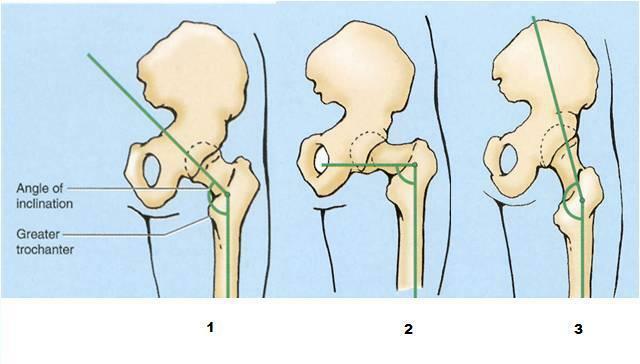 Both lifts use more knee extension than hip extension in the first portion of the lift but this shifts to more hip extension in the case of the traditional lift. This can be interpreted as meaning that the traditional deadlift is a more effective multi-joint lift than is the sumo and uses more muscle groups as we already discussed above. The sumo deadlift uses an exaggerated wide stance. By doing so the lifter is moved closer to the ground. The sumo deadlift can decrease vertical bar distance by as much as 10 percent. Another biomechanical difference is the torso is much more upright than the traditional deadlift and this can serve to remove some of the strain on the low back. The upright position will put more stress on the muscles of the legs and less stress on the erector spinae muscles of the back. That means that as far as a back builder, the traditional deadlift already has won this portion of the Vs battle. The disadvantage of the sumo is that in order to get into the proper position the lifter must possess very good hip flexibility. If you cannot get into the correct starting position there will be many other weaknesses that will be exposed such as your knee stability, which tends to cave in when not ‘sitting’ down and back in the sumo start position. This means that working on your flexibility around your hips is imperative if you lack the flexibility needed to correctly perform this lift. Anecdotally, the main difference as far as preference seems to be that people with longer legs and shorter torsos prefer the traditional deadlift whereas those who possess shorter limbs and longer torsos prefer the sumo deadlift. (There is an equation to figure out which camp you are in but it is complicated and I chose not to include this information here but may do so in a future article). Round 2: Which Is Better – Fasted Or Fed Cardio For Fat Loss?